Celebrate the Humanities with PAL! 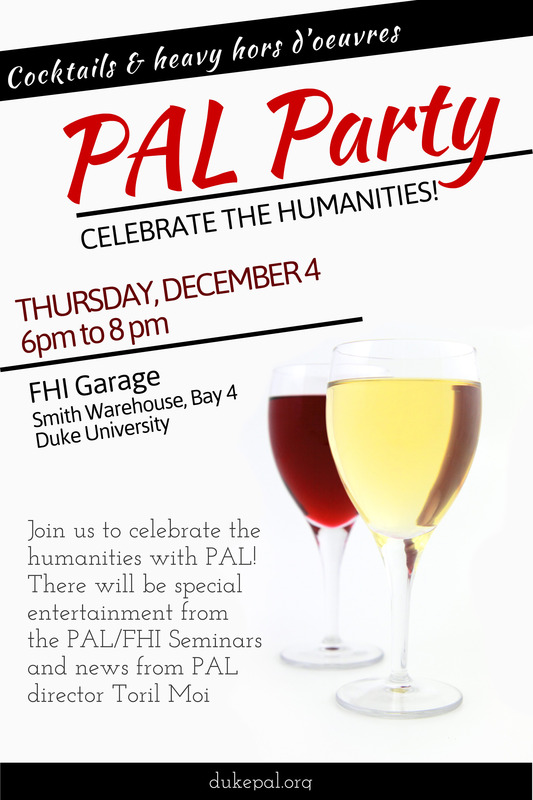 Join us to celebrate the humanities with PAL! There will be special entertainment from the PAL/FHI Seminars and news from PAL director Toril Moi.